Reptiles relatives once roamed the earth with dinosaurs! Meet some of the most ancient of reptiles as well as come face to face with an animatronic 10-foot baby Tyrannosaurus Rex! Includes: 5 live reptiles (30-minute Presentation.) 30 minutes of information interaction & photos with T-Rex. 1 Group Photo and 1 Individual Birthday Child Photo with the T-Rex (with your camera.) 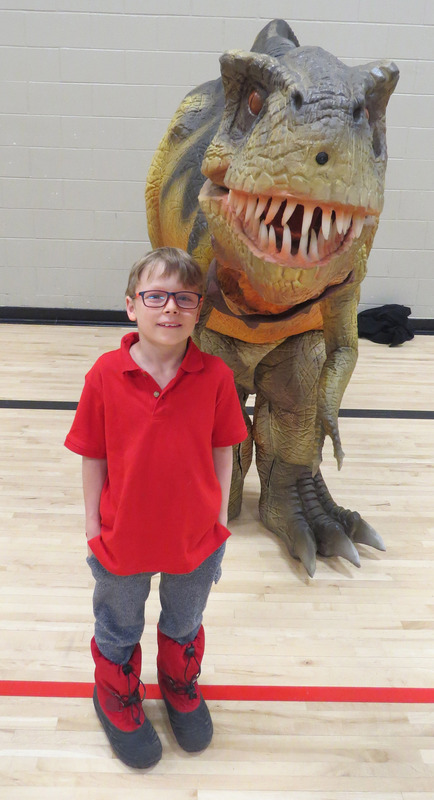 Additional Individual Guest Photos with T-Rex (with your camera) - $5.00 Add the VIP package portion of the show (Picture of Birthday Child with a reptile, 1 8x10. 2 5x7. Custom T-shirt with them on it) for $35 + GST. We recommend renting a community hall or alternate venue for the prehistoric package. 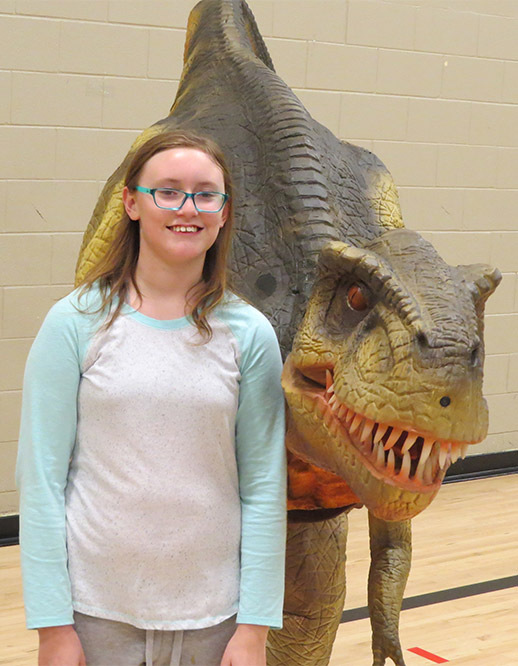 If possible, the dinosaur should be set up in a different room or in a hallway so that it is a surprise for the kids. The T-Rex cannot appear outdoors in snow or rain. Refunds or changing of packages are not permitted for shows from Spring – Fall that are affected by weather. We strongly suggest using an indoor option regardless of time of year. 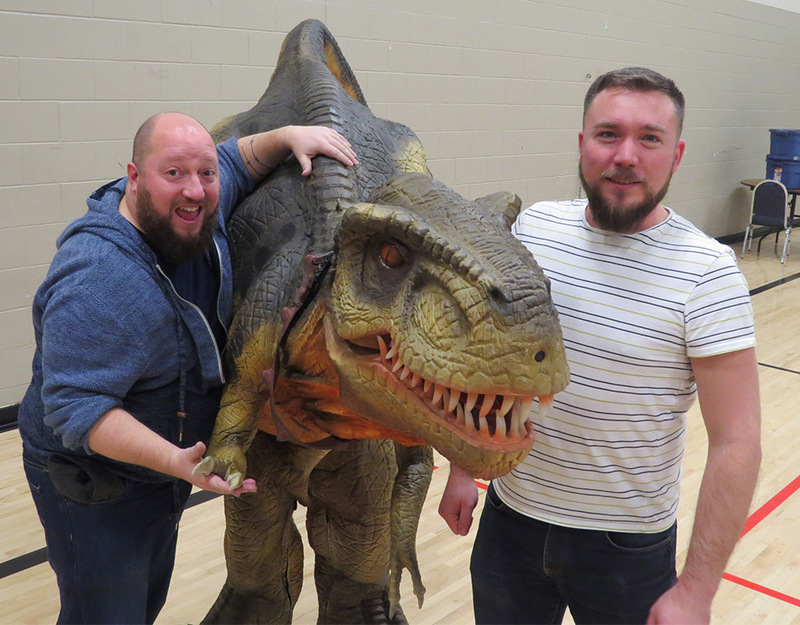 We do require an adult to assist with bringing the dinosaur into the venue and initial setup. Prehistoric Package Availability is extremely limited and is first come, first served. 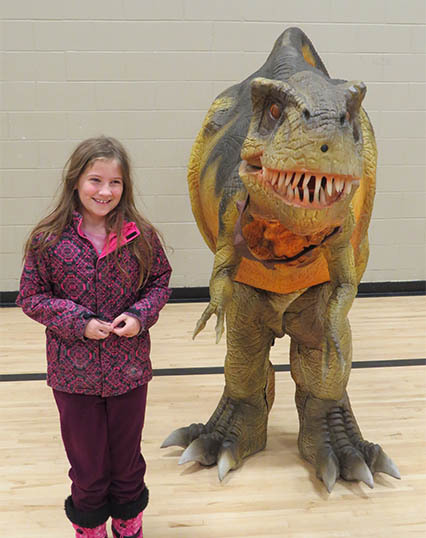 The T-Rex is also available for schools, community & corporate events, trade shows, etc. Please contact us directly for a quote.